Ben Draiman — younger brother of David Draiman of the famed rock group DISTURBED — has released his version of the DISTURBED song "Stricken". You can listen to it in the YouTube clip below. Says Ben: "Today I pay tribute to one of the best hard rock/metal bands in the past decade. I pray I've done it the justice it deserves." 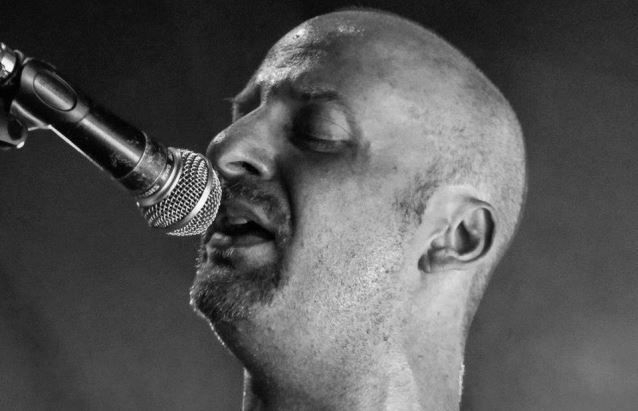 Ben Draiman's debut six-song EP, "The Past is Not Far Behind", came out in October 2012. Ben Draiman was born and raised in Chicago, Illinois and has been a singer-songwriter as well as a pianist frorn the young age of 13 years old. Heavily influenced by a wide variety of styles, his music can best be described as powerful, emotional, melodic rock, fusing the softness of the piano along side the intensity and roughness of electric guitar. In a recent interview, Ben was quoted as saying: "The personal nature of my songwriting is something that, at this stage, distinguishes me from others. It all depends on the place from where the music comes from, and for me, it's still utterly pure — I have no audience in mind and no market in mind. It's a personal, therapeutic experience for me and ultimately, I think that's what people can relate to. You don't need to be the best singer or piano player, but when you give something else, when you mean every word of what you sing, that can be even more important." And indeed, his performances as well as his music's unique intensely emotional and authentic style has set him apart from many other artists and has continued to draw larger audiences over the years all across the age demographic. His single, "Soon Enough", which was released in 2011 in anticipation of his EP, garnered considerable worldwide interest, making it onto several online blogs and magazines, and was on regular rotation on 94X in British Columbia, placing number 81 of the top 84 songs of 2011 . It has also been featured several times on Rock 108 in Iowa. Ben performs as a singer/songwriter in Israel, where he currently lives. For more information, visit www.bendraiman.com.